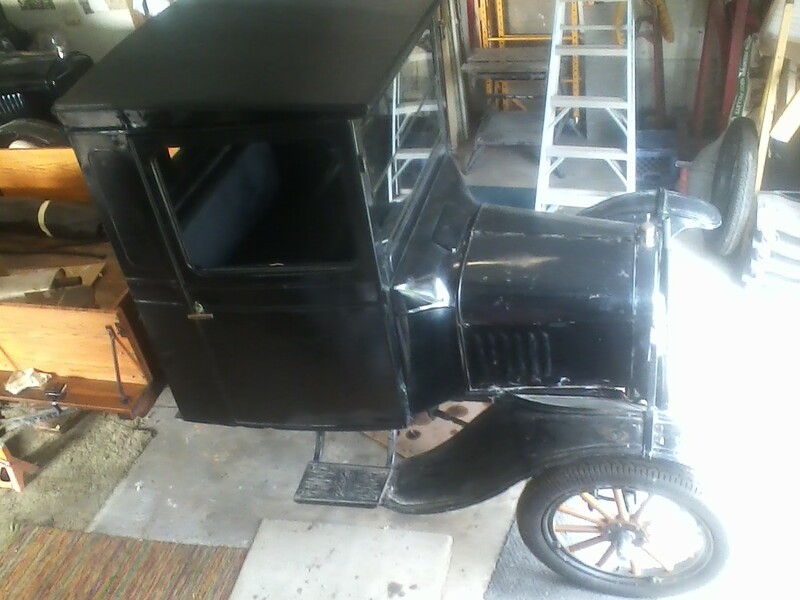 Does anyone know what the original top was on a 1924 Ford TT cab? 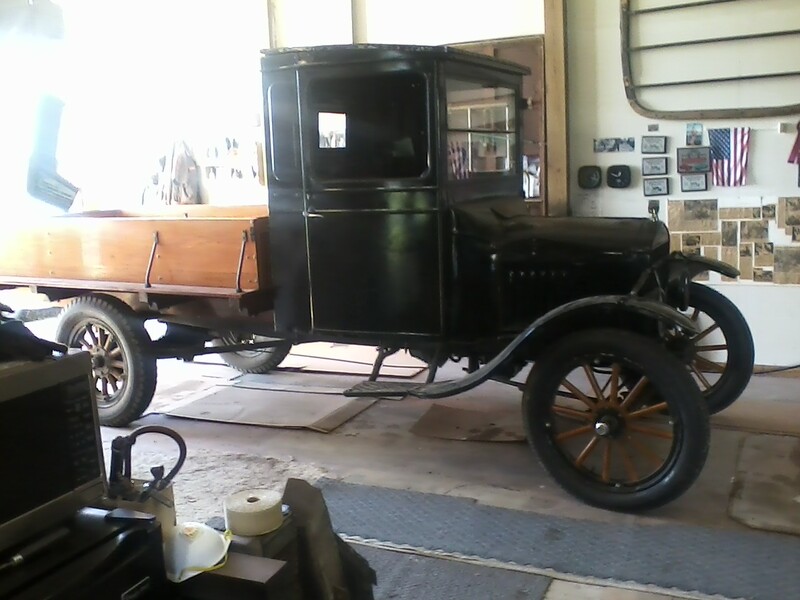 This one I'm working on has similar wood as a coupe (for example) but had been replaced with metal. It looks like it was originally a soft top...maybe a cobra or smooth grain material? Thanks in advance..
Classtique says a long grain top material for the TT top and several cars. I wish I knew for sure too, Don. Don't know if it was correct, or even a replacement. 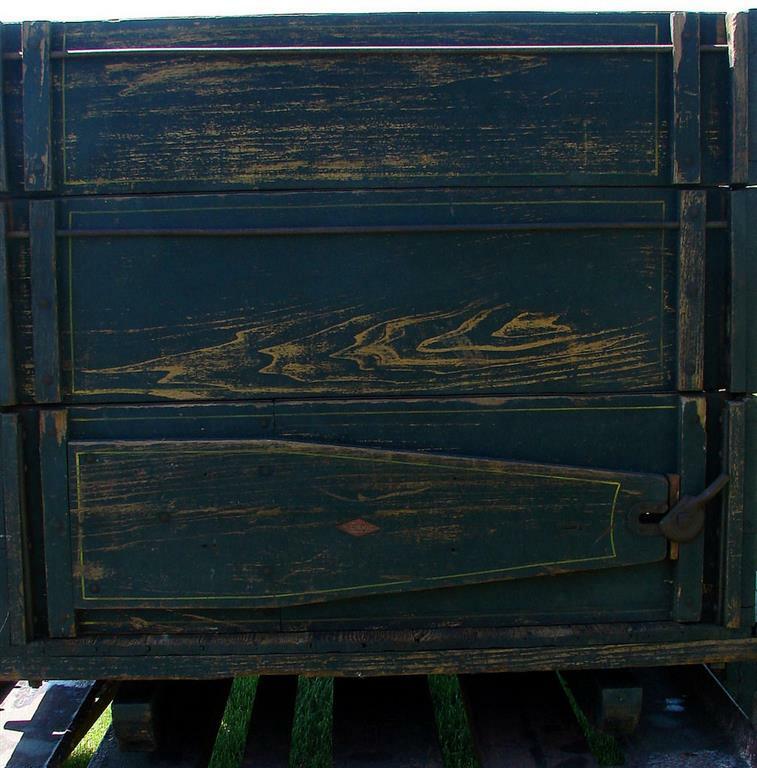 When I started working on the top of Dad's '26 TT having the same type cab, it was already quite tattered and torn. Dad had purchased it in 1942, and he never mentioned anything about having replaced the roof fabric. From my memory (and good luck with that...), what I took off reminded me of what we'd referred to as 'black oil-cloth'. The texture seemed more like convertible-top material. I don't recall it having anything as looking like the cobra-grain. More mystery??? "T-reat yourself to a 'Sweet-T'!!!" Try this. Some good information before it drifts. You can buy the top kit from the vendors. The wood you can make or possibly get with a phone calls to a few different people. Search old threads if you have time. Nice TT ! Perfect Tim, thanks so much !! I haven't had a TT before and had no idea what was correct...now I do. Thanks again! Well, I am not a TT expert (don't really consider myself an expert on anything? ), and I don't know if it matters or not. But my understanding is that for 1924, Ford offered the C-cab as the first officially offered cab from the Ford factory. 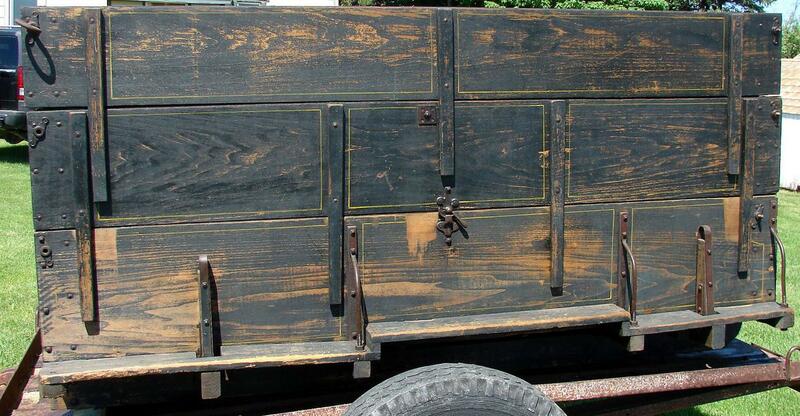 The closed cab is generally considered a '25 model or later (although some were likely built and sold in late '24). Apparently the closed cab was such a bargain, that a lot of them were sold, and they were tough enough that a lot of them survived. 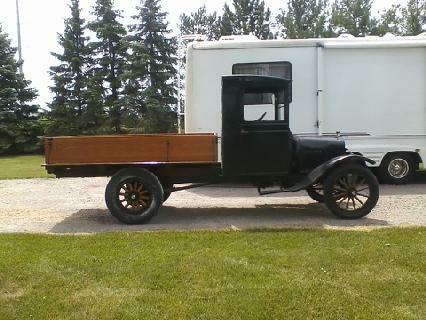 TT trucks are some of the most misidentified antique vehicles around. There must be a hundred of the things claimed as 1917, even though only a handful were actually built that year. I have seen at least a dozen with brass radiators claimed as 1915s and even earlier, when absolutely NO TTs were built that early. 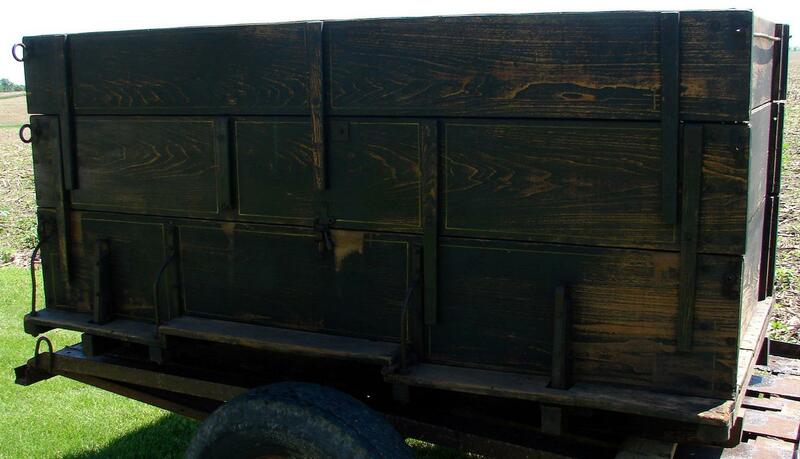 Many high radiator, high/wide steel firewall, with lipped front fenders and 21 inch front wheels and tires have been claimed as 1920 to 1922. And more than a few of those had closed steel cabs on them. In a fit of madness, I wrote "Late 24- Early 25" on the dash of the closed cab after a load of research here. Didn't realize at the time 25 model year was the first for closed cabs. A later engine had been dropped in and it trudged on until 43. I know this is a moot point now Don but here's the well weathered fabric that's on the TT here. I hope you don't mind me posting it. Marv, does this look familiar? As we can see the top was re-done after a "rafter" or two cracked and strips were layed and nailed on the ribs/rafters and then recovered. I might steal a rafter or two from a good roof assembly I have and try to go original-ish so it can safely be outdoors with a new Classtique top kit I have. Yes, it does look 'familiar'! That old sub-liner reminded me of some thicker tar-paper, even cardboard. I do not recall any grain-direction for the top at all. Fortunately, I've been able to salvage some old replaced 'felt' material from a pulp-paper machine at one of the mills. It's an appropriate thickness, but more dense & durable for a new liner, and will probably outlast two lifetimes... You will not stretch it! It is white, but a rattle can could handle that part. Again, I issue the caution to others who don't know I'm not a 'purist'... Just a frugal former farm kid who tries to 'make things work'("Nicely"). Don - Take a look at the link Tim posted as well. I may even have a large enough piece of that felt left to cut-&-fit and include for your project. You have my phone if you want me to check for you. Wouldn't that thick white sub-liner make a TT's cab look nice and bright inside in place of the dark Muslin? Cool. I like your disclaimer Marv! Wayne this was the information from the owner. 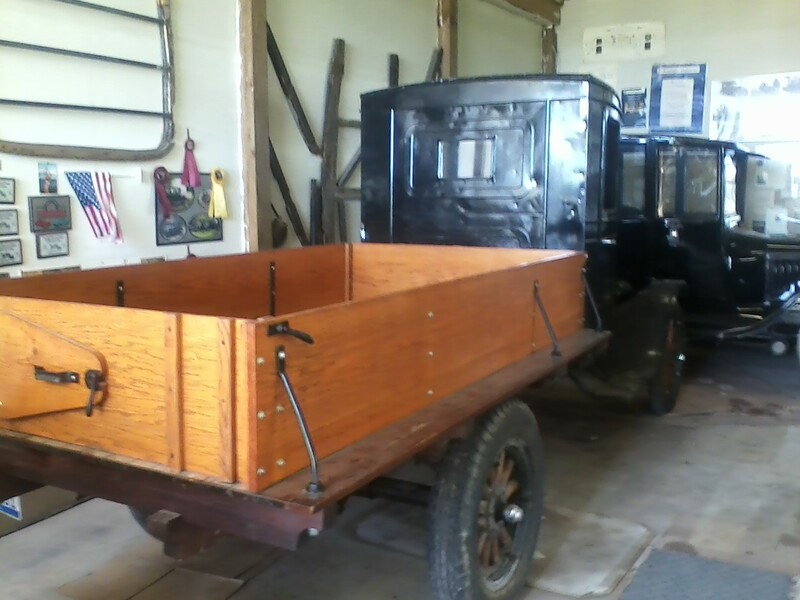 He says it was titled as a 1919 chassis. 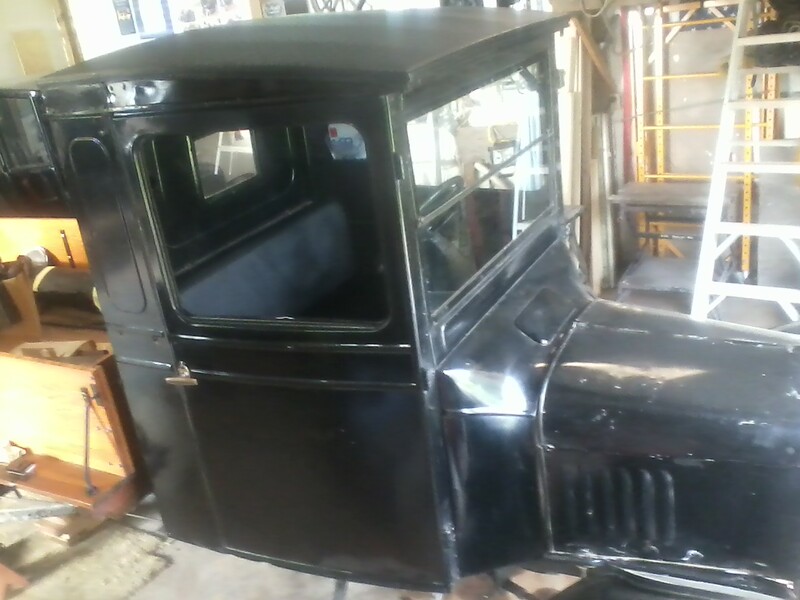 The cabs were first built in 1924 but unsure what year this cab is. This truck has a 26-27 engine/transmission so its a mixed mutt for sure. But man-o-man is it fun to drive. So I posted it as a '24 because I know no better. Duey thanks for the picture it answers my question on the cobra grain. Cobra grain must be a modern day answer because its all that's out there now. 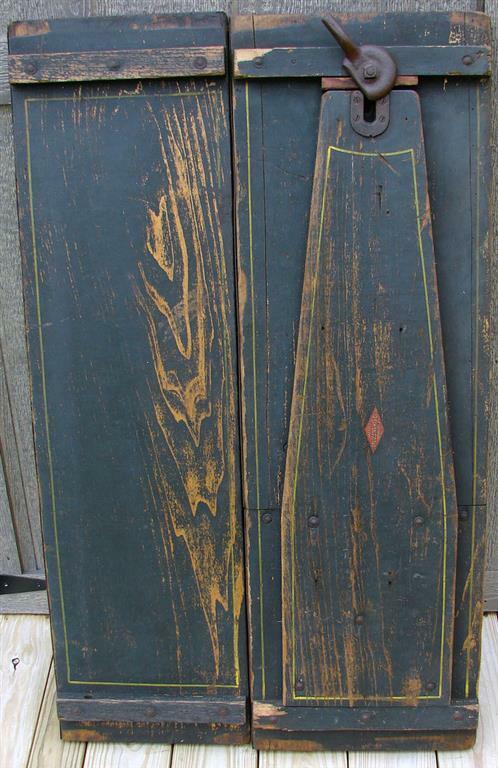 That top material almost looks like the old painted canvas material they used on early boat tops. I believe I can duplicate that if its what the owner wants. Don B, That is such a common problem with so many TT trucks. So many of them, were worked so hard, and for so long, and modified or repaired using whatever was available, that a lot of TTs are a mixed batch of stuff. But that is also part of the charm of TTs. They wear their history well. And regardless, are a lot of fun to drive and show up with almost anywhere. 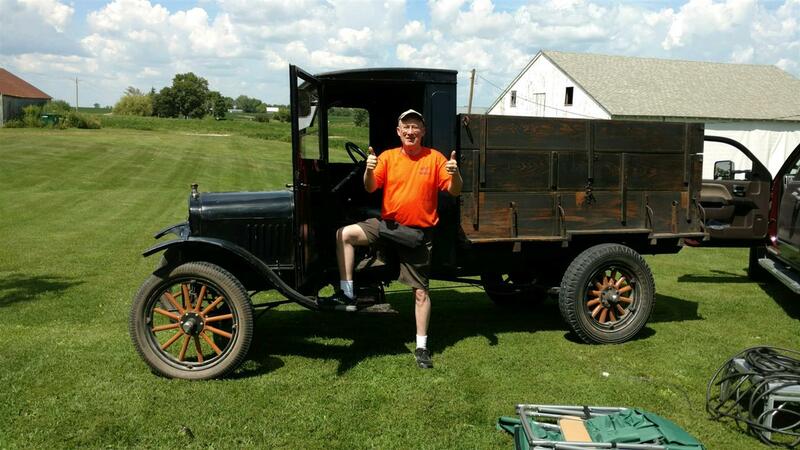 I have also read that Ford did sell the complete steel cabs as replacement parts, and that quite a few were sold to be used on older trucks during the late '20s. 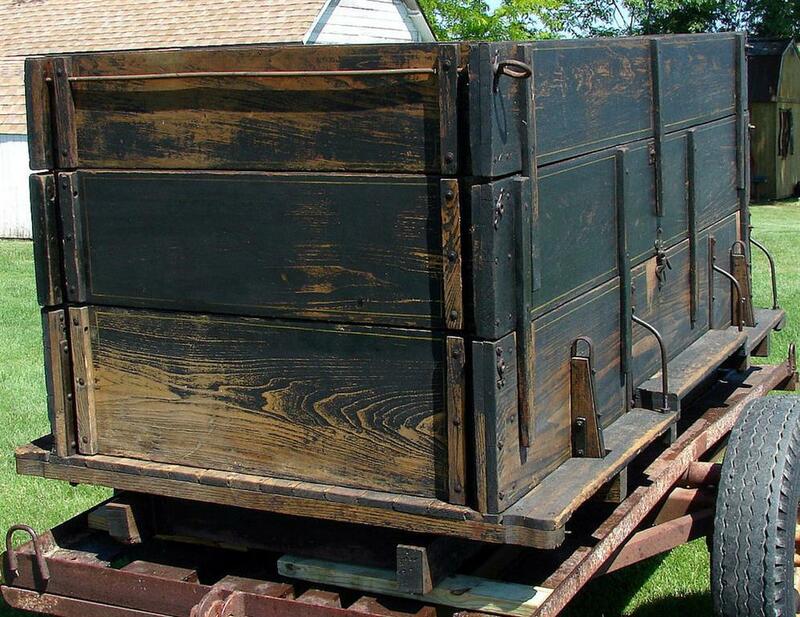 Some of the after-market wood bodies sold for use on trucks in those days were not very well built. Many of them were given a life expectancy of only two or three years when they were new. The trucks were expected to increase profits through increased efficiency and pay for themselves in about a year's time. But those steel cabs were tough! Many of them outlasted the truck itself. Whatever the owner wants to call it is probably just fine, and 1924 should be close enough. Enjoy your time with it! And I somewhat expect to read here in a year or two that you have bought one yourself. I'm certainly not an expert on TT's, or likely for anything else either, but Dad's TT was my 'introduction' to the Model T. BTW, I was once informed by a Pastor that there was a first requirement to enable defining oneself as an expert - - "You have to be at least 50 miles away from home." (Today's standards would probably require more than that.) He also suggested to remember our algebra... 'X' was always THE unknown quantity, and a 'SPURT' was really just "a drip under pressure!" (Laughing) Marvin K, I often tell people about the unknown drip under pressure! I have spent my whole life seeking knowledge, in a huge variety of subjects. I have been fortunate to meet and speak with real experts in a wide range of things. I try to learn from all of them. There is not one subject, in which I consider myself to be an expert. One of the first things I really learned, is that nobody can really learn much, until they first learn how little they know. In any subject, I know (or have known) people that know much more than I do. I sometimes consider myself to be the ultimate "Jack of all trades, master of none". I can live with that. 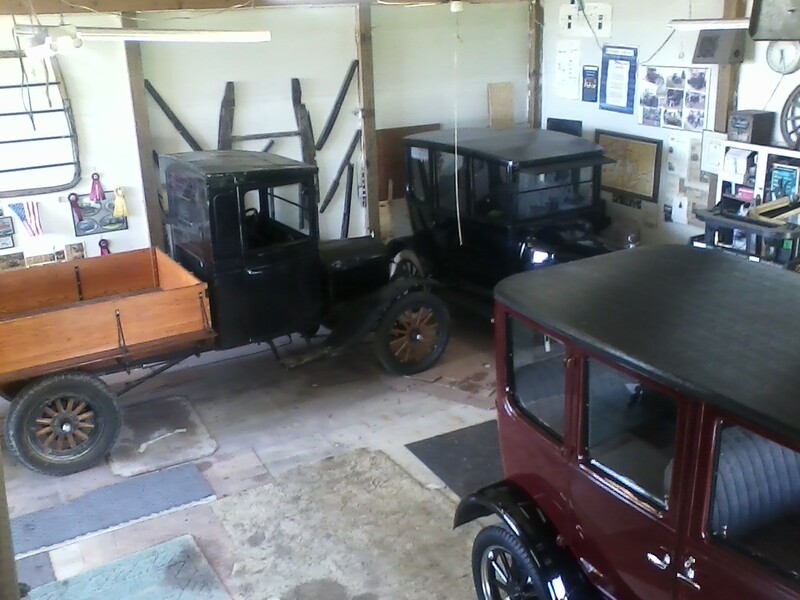 Model T Fords just happen to be one of my favorite areas of study in one of my favorite subjects. Antique automobiles. I truly believe that the years between the mid 1890s and the mid 1920s was the greatest single generational leap in all of human history, both technologically, and sociologically. No other hundred years in all of human history truly changed HOW so much of the world's people really lived their lives. How they got their food. How they lit their homes at night. The communities they lived in. The work they did to earn a living. And especially how much they knew about the rest of the world. All of those things changed a lot, and all around the world. It should be remembered that many of the technological developments had roots in work done over the previous hundred years. But those thirty years are when most of those technological developments really came into common use and continued to grow into other new developments. The automobile, and most especially the model T Ford, were both a cause, and an effect, of all those changes. Well, I have wandered off again. I guess someone needs to go looking for me. The owner just bought a original period box with all the original hardware for this TT. Boy it really transformed the looks of this TT. Before and after pictures... atta boy Dave !! Looks ready for work now. I like that bed. Can we see some photos of the inside of the bed? "Donnie Boy" has done it again!! A great job! 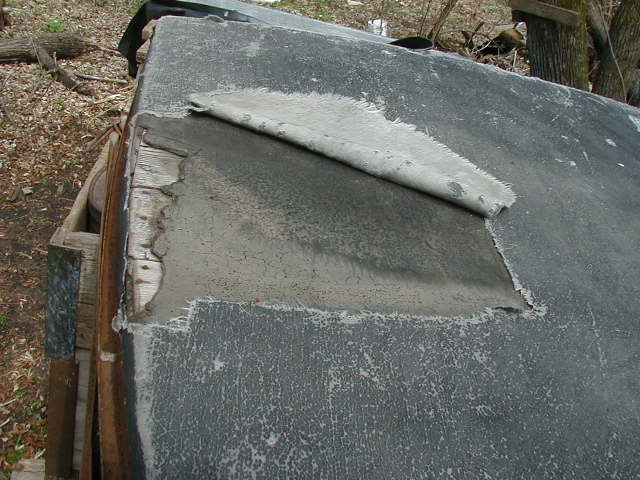 What did you end up using for the roof liner and material? Don, can we see some details of the tailgate? 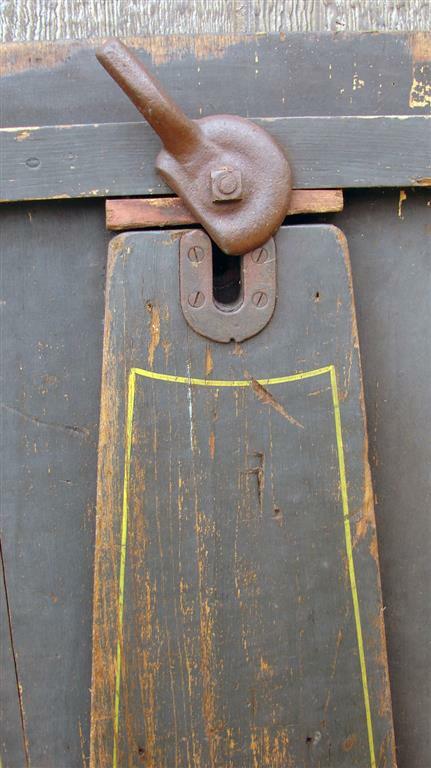 That handle and bolt on the 'ironing' board are intriguing. Oh yeah I like THAT box! I'll second or third more close-ups of the details of that thing! 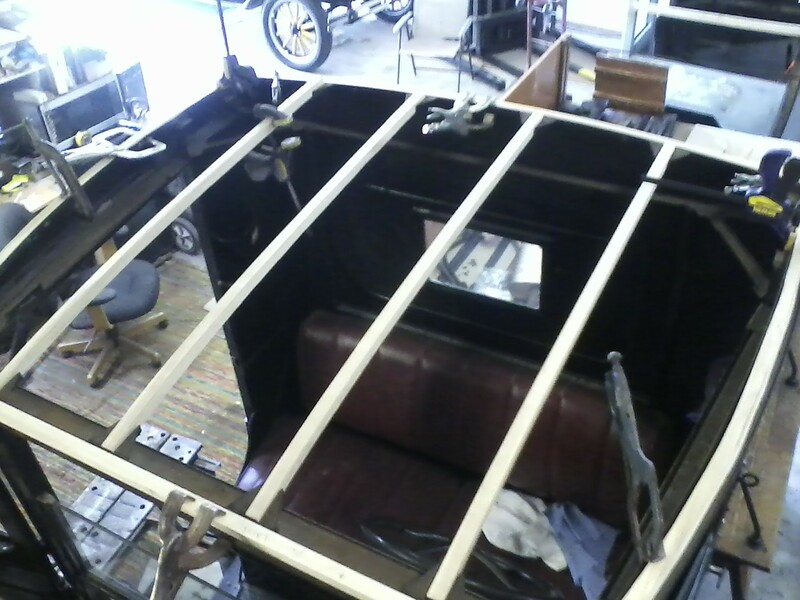 Marv, I used the black Dacron for the "headliner" which actually is above the bows. Its as close to original as I could find. Here are some close ups of the box before it was mounted. The company was only a few miles from where this box was bought. Thank Don. I love all the detail on these wood bed. 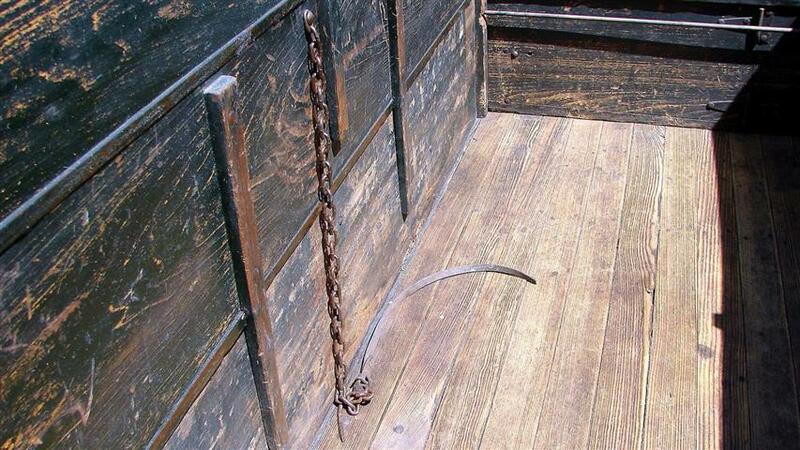 The pin stripes and hardware show pride in workmanship. Will this truck be at OCF? Wonderful, I cant wait to see it in person. Mine will have to wait till next year. The 9ft box on mine makes it look a mile long. I have discovered that the metal strips that protect the top and edges of the boards on my 8in1 were painted black. The rest is green. Havent found any stripes yet. Hope you make it to OCF. I look forward to meet you. It's perfect! Ready to go to work. I like the pinstripes too. I would assume the top material used on your closed cab truck to be the same as they used on the open cars. Its the short cobra grain on the top. Don your breaking my heart with that add. My wife would kill me but its tempting. DO IT! It's easier to beg forgiveness, than it is to get permission! Besides, you'll be out of the dog house LONG before that one is ready to drive. Larry here are some pictures of the finished top on Dave's TT. That went from a "cute" truck to a gorgeous truck!!! 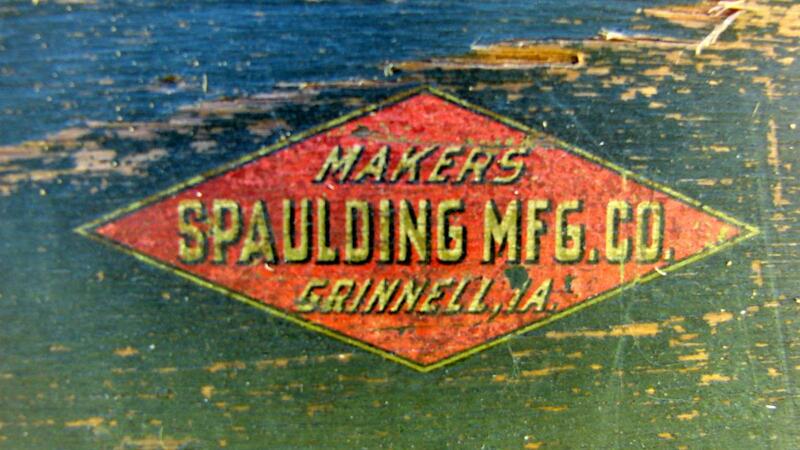 That Spaulding box is out of this world. Ya figure the engine in that Craigslist TT gets that empty feeling once in awhile?... :-) The cab however looks fantastic from what I can see. That new roof looks great Don!